Thank you for the opportunity to give input to your research on this framework for economic and social rights. Of the three areas under review, PPR’s work is most related to accountability and features elements of monitoring, mechanisms, remedies, and participation. The work mostly entails social mechanisms for non-judicial accountability, but also makes creative use of duty bearers’ existing administrative mechanisms (examples of both below). Participation and the Practice of Rights (PPR) supports groups of people impacted by denial of basic economic and social rights across the island of Ireland and in Scotland. PPR works with these groups to introduce or increase standards of participation and accountability in decision-making processes that currently exclude them, for instance around the rights to adequate housing, social security and the highest attainable standard of mental health. · identifying or creating avenues (mechanisms) for the active and meaningful engagement of disadvantaged groups in the decisions which impact on their lives. Each of the groups undertake work to monitor (through action research -- usually a survey of their peers -- to gather baseline data on the issues, followed by agreement of human rights indicators and setting targets, or benchmarks, for change) the extent to which their rights are being progressively realised by the state as required by international human rights law. Groups at times use the detailed components of ICESCR rights set out in the General Comments as a framework, and develop campaign-specific strategies and actions aimed at bringing about sustainable change. Past examples of this work, highlighted elsewhere, have included the Seven Towers Monitoring Group’s efforts to access their right to adequate housing through rectifying concrete problems such as accumulated pigeon waste on the landings, sewage ingress in sinks and baths, damp and inadequate maintenance, and the allocation of inappropriate high-rise flats to families with small children. More recently, PPR has worked with the Travellers of North Cork group to develop a survey tool to assess their access to their right to adequate housing. Group members carried out the initial survey amongst other Traveller households in 2017 and from the results, identified benchmarks and indicators for change. A year later they re-surveyed over 70 families to see what if anything had changed. They launched the findings of their work in September 2018, with an international panel of experts including Virginia Brás Gomes, then chair of the UN Committee on Economic, Social and Cultural Rights. Other groups such as the Housing4All group of asylum seekers -- many left destitute by local implementation of Home Office policies designed to create a hostile environment to deter migration – have used administrative accountability mechanisms creatively. The group obtained a copy of the contract signed between the state duty bearer and a private company for provision of housing to asylum seekers, and have used its terms to measure the company’s compliance with contractual obligations set against international human rights standards. Similarly, the Equality Can’t Wait: Build Homes Now! 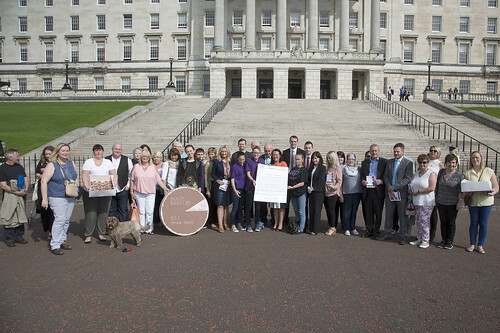 group campaigning for the right to adequate housing have developed a Human Rights Complaints template for affected individuals to draft and submit complaints about their housing conditions directly to the head of the Northern Ireland Housing Executive (NIHE). With regard to the right to work and to social security, the Right to Work: Right to Welfare group has used a similar technique – its Human Rights Complaint template is now being adopted by advice workers on social security. It also developed the #People’sProposal, a human rights checklist for due process and protection from benefits sanctions (more below), and trained human rights monitors to accompany and support affected people during social security review and appeals processes with the responsible duty bearer (in this instance, the Department for Communities (DFC), at times operating through private companies). 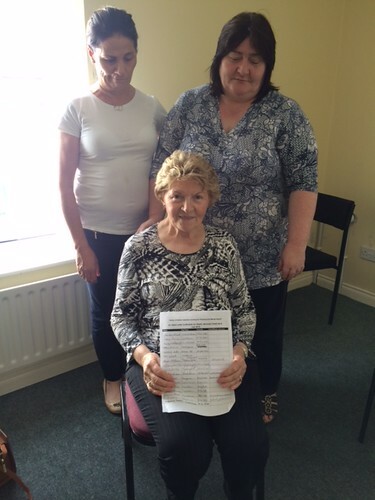 · For the Travellers of North Cork, since the launch of their research findings in September 2018 the primary duty bearer involved – the local council – has taken some steps towards fulfilling its obligations. A number of families have recently been allocated homes after long waiting times, and work has begun to improve conditions at a longstanding halting site. Monitoring continues. · To help ensure the safety and wellbeing of homeless women who are refused asylum seekers – given the reluctance of state duty bearers to act on behalf of people with ‘no recourse to public funds’ -- the Housing4All group, church and community organisations have jointly implemented a pilot project to provide temporary accommodation in two two-bedroom flats made available for the women’s use by Choice housing association. 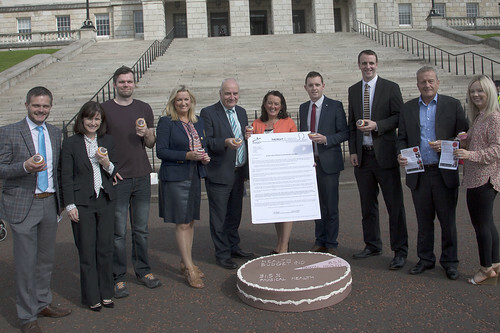 · Through the FDA No Delay campaign, over 100 homeless hostel residents took part in human rights monitoring initiatives which secured recalculations of some people’s social housing status to award previously denied housing points. The group launched the campaign at Christmas to ensure every resident in a homeless hostel is to be recognised by NIHE as being homeless and afforded the support they are entitled to. 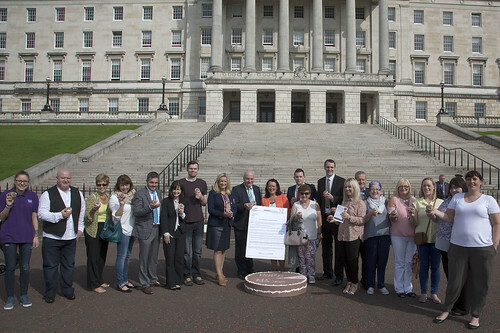 Within two months they secured the support of four political parties and have teamed up with other PPR-supported housing activists campaigning to secure land for the development of social housing. The campaign also obtained support from a member of the European Parliament. 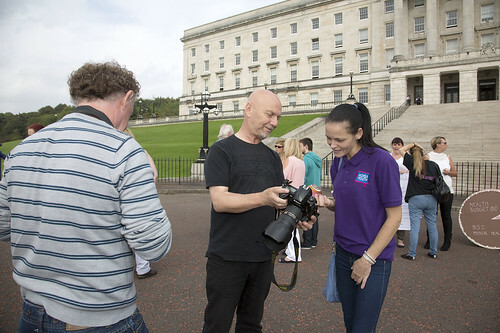 · When Syrian families fleeing conflict were re-housed with United Nations resettlement funds into run down private landlord accommodation across Belfast they approached PPR for support. The families carried out action research, documented their issues and launched a report exposing the conditions and racism they endured. All families have now secured new accommodation. · Through the Right2Work campaign sick, disabled and unemployed activists have secured unanimous motions of support from ten of eleven local Councils calling for the introduction of the #PeoplesProposal human rights checklist for social security decision makers. Human Rights workshops were delivered to 70 frontline welfare advice workers and support staff and a range of people experiencing threats to their sole source of income used the approach to circumvent impossible administrative processes by directly engaging senior state duty bearers to secure social security incomes. R2W launched the ‘Human Rights Monitor’ initiative, through which Monitors (members of the public) are now documenting activities at the interface between vulnerable people who require social security to survive and private companies contracted by the duty bearer to conduct intrusive and harmful assessments of vulnerable people. The Permanent Secretary of the Department for Communities confirmed in a meeting with R2W that sanctions dropped from 600 a month in 2015/16 to 250 a month in 2017/18 as a direct result of changes brought about by the campaign. · The #123GP campaign brought together people with personal or family experience of accessing mental health care. The group surveyed people’s experiences of seeking mental health care from their local GP surgery across five Health Trusts. Initially ignored and excluded by decision makers, the campaign engaged in some constructive direct action to secure speaking rights at the monthly board meetings of the Health & Social Care Board. 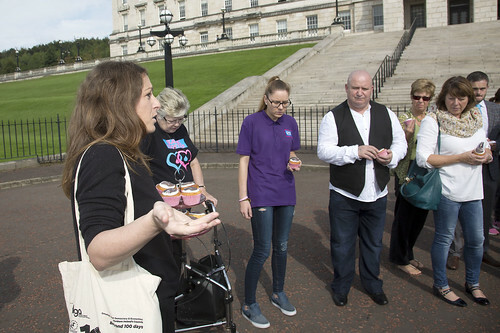 The group delivered cheap ice creams, symbolizing the current funds per person for mental health care, a petition with over 2000 signatures and letters from 40 key organisations supporting their campaign. They also engaged constructively with GPs, counsellors and their respective professional bodies. 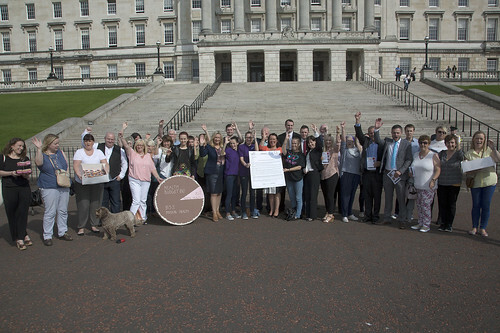 The action and media coverage caught the attention of decision makers, and #123GP went to Stormont where they united all political parties behind their campaign for a mental health counsellor in every GP practice. · Children and young people from the Equality Can’t Wait – Build Homes Now housing campaign made and launched a film, ‘Waiting on a Childhood to call their own – the plight of children on the housing waiting list’. 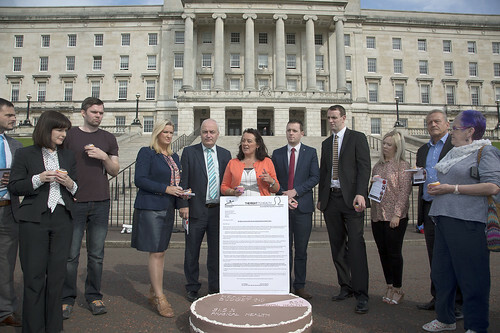 The group secured cross party support from Belfast City Councillors, who passed a motion calling on duty bearers to use all available planning and vesting powers to make vacant land available to address the housing crisis. The Chief Executives of Belfast City Council and the NIHE, as well as senior officials of the DFC, were brought together to view the film. In response, these three powerful public bodies with overall control of planning approval, funding for social housing and zoning of land have made commitments to develop joint proposals to address child homelessness. Monitoring continues. 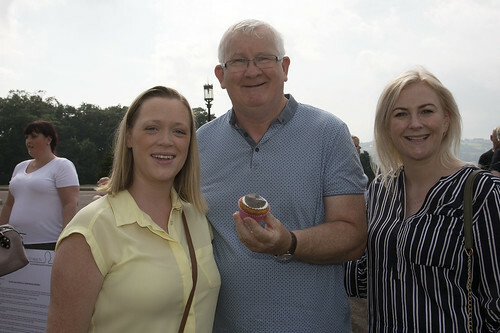 · In addition, Equality Can’t Wait connected North Belfast tower block residents with Grenfell Tower survivors in London and with safety experts to launch a resident led public hearing and a report into tower block safety in Belfast. Building Control and the NI Fire and Rescue Service had identified serious safety breaches and the group monitored NIHE remedial works and related fire safety measures. · In Edinburgh, tower block residents enjoyed the results of £2.3m in council investment in their homes with new damp proofing, windows, kitchens, bathrooms and heating systems being installed throughout the formerly run down flats. Learning from their example, PPR worked with Edinburgh Tenants Federation to support the Sheltered Housing Tenants Liaison Group to survey their communities. They launched a report documenting the impacts of poor housing provision on vulnerable tenants in Edinburgh council chambers. They secured immediate commitments to improve the alarms system as well as Edinburgh council’s official participation in the newly formed Sheltered Housing Human Rights Monitoring Group. 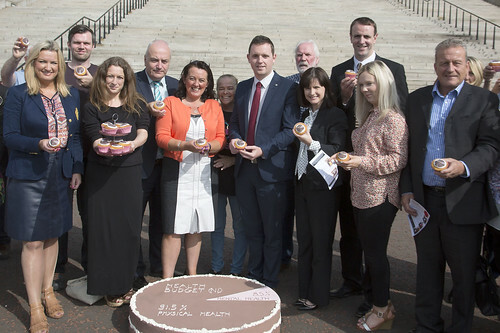 · Northern Ireland data shows that suicide is more prevalent in deprived areas, and is more likely to affect men. 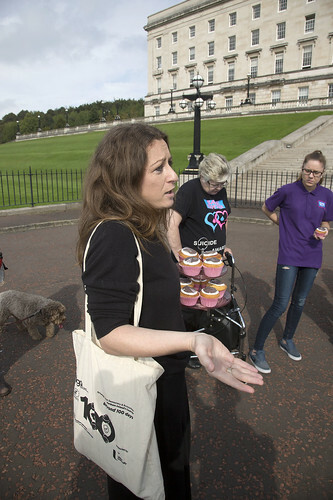 Overall it is believed that people bereaved by suicide are 40% more likely to attempt suicide themselves; campaigners in Belfast are aware of several families that have suffered multiple bereavements through suicide. 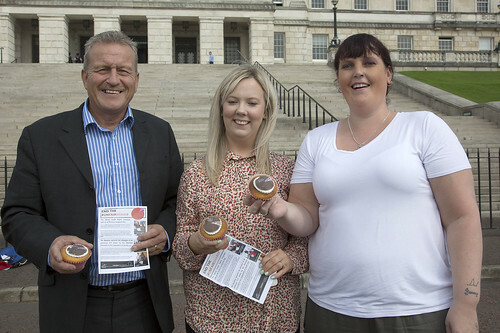 Knowing firsthand the poor support they received themselves, people bereaved by suicide in Northern Ireland engaged the Public Health Agency, five Health Trusts, the Coroner, the Department of Justice and the Police Service of Northern Ireland with detailed recommendations to improve the quality of support provided after the loss of a loved one. Working with allies and duty bearers, the SAFER campaign secured changes such as the provision of an information pack to bereaved families and changes to the forms and protocols used. In 2018 the campaign also gained expressions of support from the Coroner’s Office in favour of a move towards a proactive bereavement unit and an enhanced, more accessible service for people bereaved by suicide. 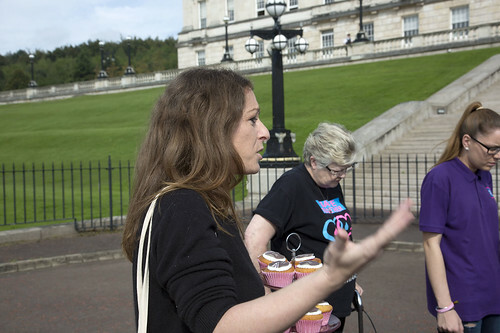 · In 2018 the Housing4All campaign successfully lobbied Belfast City Council to ensure cremation fees were waived for all children and young people, a policy which explicitly includes asylum seekers. Over the last several years PPR-supported groups have encountered a number of recurring obstacles. One serious obstacle has been the increasing privatisation of state functions, evident across all PPR-supported campaign areas including asylum, housing, social security and health services. In all of these spheres profit, combined with a shocking lack of transparency and mechanisms for meaningful oversight, are trademarks of the contractual relationships between the state and private actors. This, clearly, makes accountability more difficult to achieve. As the private actors are at one remove from the duty bearer, they are more resistant to pressure from rights holders to comply with domestic or international standards. Moreover, relationships, responsibilities and obligations between the contracted company and the duty bearer are not always clear. Private companies are frequently even less used, and more resistant, than the state agency to being held to account. 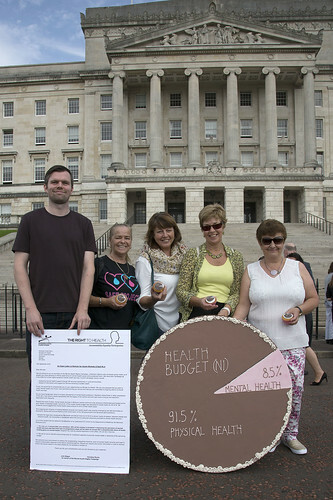 · #123GP campaigners have highlighted the fact that funding for GP practice-based counselling works out at an average allocation of £2.29 per patient, and that patients wait up to 7 months for an initial appointment, following which their therapy is capped at 6 sessions: clear evidence of a grossly underfunded service. Yet set alongside this is evidence of increasing privatisation and massive profit making within the health services. The experience in England of the NHS being dismantled and ‘americanised’ is becoming evident in NI also. In just one example of Private Finance Initiative (PFI) involvement in the financing, design, building and operation of NHS hospitals, the South West Acute Hospital in Enniskillen, built at an initial cost of £224m, is set to cost the taxpayer just under £700m over 30 years. In addition, small local GP practices, the first port of call for many people concerned about their mental health, are disappearing from the primary care landscape at an alarming rate, only to be replaced by private health care providers providing online consultations. All of these developments undermine the principles the NHS was founded upon of equal access for equal need and universal, comprehensive care which is free at the point of delivery. · The deliberate dismantling of the NHS, referenced above, is mirrored by the ongoing privatisation of social security. The accepted rhetoric is that the welfare reform regime was introduced primarily with the aim of slashing the benefit budget. However further probing shows that private contractors often cost government more than services run ‘in-house’. The reality may in fact therefore be extremely calculated, whereby welfare reforms were designed to fail, so as to reduce public confidence in the welfare state and see it eventually replaced with an American style private health insurance system. The horrendous experiences of benefit claimants of social security assessments by private companies, as documented by R2W Human Rights Monitors, are no aberration; rather they are part of what has been described by a leading disability rights campaigner as “the planned demolition of the welfare state”. · The Equality Can’t Wait/Build Homes Now campaign has increasingly found that the NIHE has outsourced its duties to provide social housing to families on the waiting list, as well as to refugees such as those brought to NI under the Vulnerable Persons Relocation Scheme (VPRS) administered between the Home Office and the DFC, to private management companies or to private landlords. Ensuring that NI’s Decent Homes Standard is applied to NIHE properties can be difficult enough; at the remove of a private owner, this can be even more fraught. Individuals who complain may be removed to properties in better repair, but in many cases defects are not fixed and new families are simply assigned to the still non-compliant homes without problems ever having been rectified. · The Housing4All campaign has been working on conditions and treatment of asylum seekers at SERCO-managed accommodation in Northern Ireland. It took a fair amount of pressure under Freedom of Information to even obtain a copy of the contract between the Home Office, the Housing Executive and SERCO. Under the contract, terms of monitoring and evaluation, and treatment of complaints, are not clear. Over the last year the Home Office re-tendered the services and a new and revised contract has been set up with a different company. It does not take effect until later in 2019, and the terms of any handover, awareness raising of changes amongst tenants or similar are unclear. A related obstacle to realising economic and social rights has been identified as the multiplicity of actors – some of them private – involved in decision making around key issues. 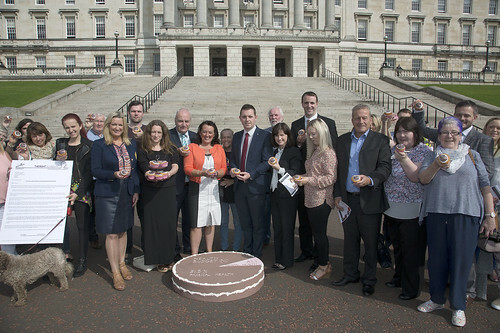 For instance, in challenging the social housing crisis in NI, the children of the Equality Can’t Wait/Build Homes Now campaign are faced with a range of duty bearers who, not infrequently, blame each other for the shared failure to act. The Belfast City Council is responsible for zoning land for housing or other functions, while the Department for Communities is responsible for vesting land for public use where required, but only if so requested by the Northern Ireland Housing Executive. To complicate matters further, key large sites around Belfast, with the capacity to make an appreciable dent in the city’s growing waiting list, are in private hands. The children chose to screen their film about their situation to a gathering of the involved duty bearers together, and the duty bearers pledged to hold joint meetings to come up with solutions. However the campaign has encountered obstacles even obtaining meaningful agendas or minutes of these meetings. The absence of one clear duty bearer to hold to account has contributed to inertia in responding a denial of these children’s right to an adequate home. #123GP campaigners are similarly faced with a dizzying number of agencies, bodies and bureaucratic structures that impedes their efforts to secure transparency and accountability around decision making for the provision of access to counselling within primary care. These include the Department of Health and the Transformation Programme, the Health and Social Care Board, the Local Commissioning Groups and the Integrated Care Partnerships. In response to the mantra-like response of “it’s not us you need to talk to” from health agencies, the #123GP have gone to those ultimately responsible, the Minister (and in the continued absence of ministers since the collapse of the NI Executive, the Departmental Permanent Secretary). Another serious obstacle encountered across campaigns has been the ‘hostile environment’ created, first around asylum seekers, and more recently around anyone demanding fulfilment of their rights in the face of housing shortages or the rollout of Universal Credit. Campaigners in a range of groups have reported instances in which state duty bearers have been seen to deliberately undermine and de-legitimise rights approaches, especially those involving direct action. Negative examples like the terrorism charges against and trial of the ‘Stansted 15’ asylum rights activists have set a worrying precedent which campaigners fear lays the groundwork for further criminalising responses by the state to the exercise of fundamental freedoms and other acts of peaceful civil disobedience. 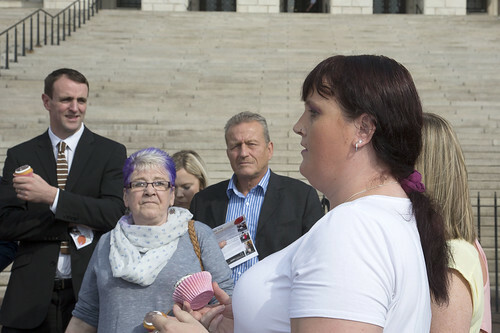 R2W (Right to Work) activists engaged in peaceful direct action to shine a light on and challenge denials of human rights within the social security system have been met with heavy handed responses by government, responses that appear designed to victimise campaigners and engender fear more widely. In August 2018 a R2W campaigner, who has a range of physical and mental health problems and who has suffered the sudden deaths of both her son and her husband, led a protest at the Department for Communities offices after she was denied her social security. This was following an assessment by ATOS, a private company employed by government to conduct sickness benefit assessments (WCA). As a result of a very visible protest this woman had her benefits re-instated, removed again, and finally re-instated, all within the space of a few days. Subsequently the Department for Communities introduced new security procedures that prevented campaigners, including trade unionists the following week, from holding any peaceful protests outside their offices. PPR obtained documentation under Freedom of Information that indicated that the Department for Communities considered R2W activists a security threat. R2W activists who carried out a survey of benefit claimants in 2018, often outside the social security offices, were struck by the marked increase in fear amongst people of being seen participating in the survey, in comparison with their previous survey in 2014/15. Surveyors detected a pervasive sense amongst benefit claimants that every aspect of their lives was being subject to surveillance, and that they risked victimisation by the social security system if they were perceived to be speaking out or challenging it in any way. These fears are far from unfounded, given the increasing evidence of extreme levels of surveillance being carried out against benefit claimants. In May 2018 it was revealed that the supermarket giant Sainsburys has a policy of sharing CCTV footage “where we are asked to do so by a public or regulatory authority such as the police or the Department for Work and Pensions”. Even more disturbing is the revelation that Scotland’s new Social Security Agency has sought permission to use special ‘anti-terror’ laws in cases of benefit claimants against whom allegations of fraud have been levelled by the agency. Yet in Northern Ireland the government’s own figures demonstrate that money lost through benefit fraud represents a tiny fraction of the social security budget. This ‘hammer to crack a nut’ approach appears to be deliberately designed to fuel a public narrative of ‘benefit scroungers and cheats’, with the deeper motive of undermining and dismantling yet another public service. Another face of this phenomenon is the way in which civil society groups are being encouraged to enter into funding and commissioning relationships with the state, which dulls their capacity to be critical voices without raising conflicts of interest. 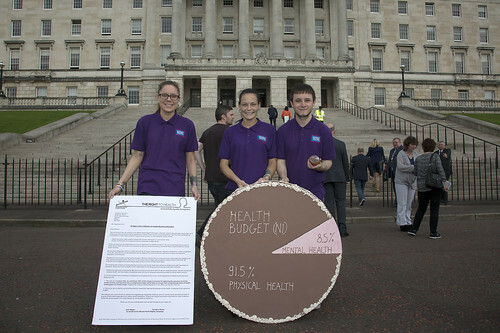 A further obstacle to the concrete realisation of key social and economic rights identified in recent years has been the lack of accountability around budgeting, particularly alongside the spending of public money to pay private providers. 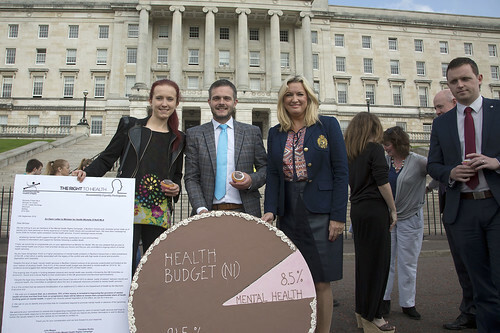 Certain campaigns – for instance the #123GP campaign for access to in-house mental health counselling at the local GP practice – have uncovered a systematic failure to adequately budget to meet thoroughly predictable rises in mental health need (linked for instance to the rollout of Universal Credit and similar factors). The failure to budget to meet clear need – notwithstanding the fact that relevant budgets have been increasingly overspent year on year, and in the face of evidence from clinical practitioners that more resources were required – has appeared to go largely unnoticed by duty bearers, despite being a clear breach of their progressive realisation obligations. In a similar vein, housing campaigners have been astounded to find that due to the sale of social homes under the UK-wide ‘Right to Buy’ scheme of recent decades, the number of social homes has declined sharply, alongside a corresponding rise in the public money paid in housing benefit to private landlords. The NIHE currently spends four times as much in housing benefit to private landlords as it does building new social homes each year. 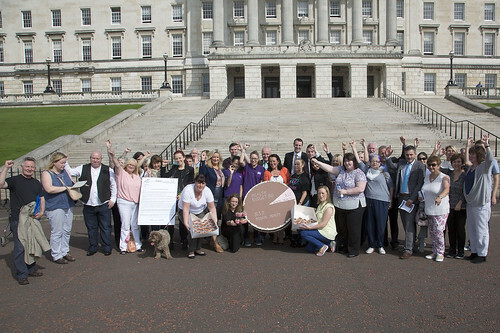 Recent benefit reforms have driven a wedge between duty bearers, with NIHE colleagues raising warning flags about potential losses in profits due to the imposition of the ‘bedroom tax’ as part of a package of welfare reform measures agreed by the Executive in 2015. Similarly, R2W campaigners have been shining a light on the inordinate amount of funding allocated to detecting fraud and error in the benefit system, as previously referenced. In the 2017/18 NI Budget, £25million was allocated to investigate welfare fraud and error. Analysis of figures provided to PPR by the Department for Communities under Freedom of Information indicate that fraud accounted for a total of 0.018% of a budget of £5.9billion. In 2016/17 the Department for Communities spent £2,544,251 investigating fraud, meaning the annual budget allocation of £25million is ten times the spend on the investigation of fraud and error, a problem that combined accounts for less than 0.1% of the benefit budget. In another example, since 2014 the government has contracted three private providers to deliver its main employment programme, Steps 2 Success. Despite clear evidence that providers have failed to meet the government’s own performance targets, particularly in relation to sustained employment outcomes for over 25s who are long term unemployed, to date no sanction has been imposed on the private companies in question. Indeed, instead all three providers have had their contracts extended until October 2020. Furthermore, the government has repeatedly refused to provide PPR with information on the value of Steps 2 Success contracts, or of social security assessment contracts awarded to private companies ATOS and Capita, citing ‘commercial sensitivity’. The refusal to make this information public exacerbates the lack of transparency around public money being awarded to private companies. This money was committed as part of a package of measures contained in ‘A Fresh Start: The Stormont Agreement and Implementation Plan’ published in November 2015. Freedom of Information response to PPR from Department for Communities DFC/2018-0192.